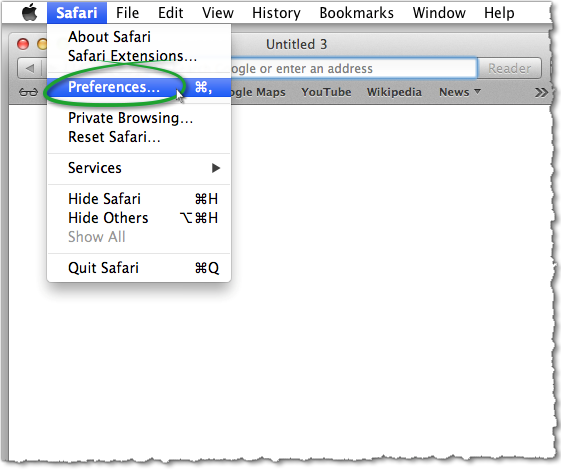 Open Safari, then choose Safari > Preferences. Click on the Websites tab and scroll down until you reach the Plug-ins section. 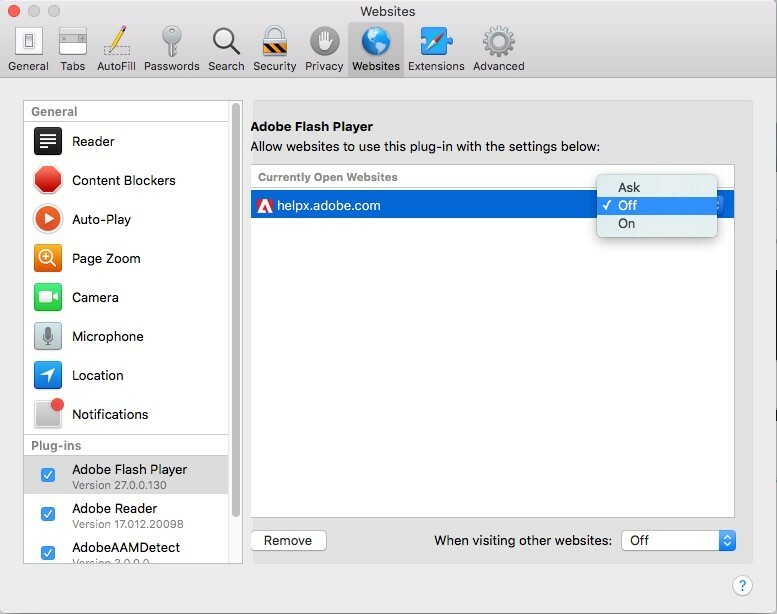 Locate the entry Adobe Flash Player. Select the box to activate Flash Player. 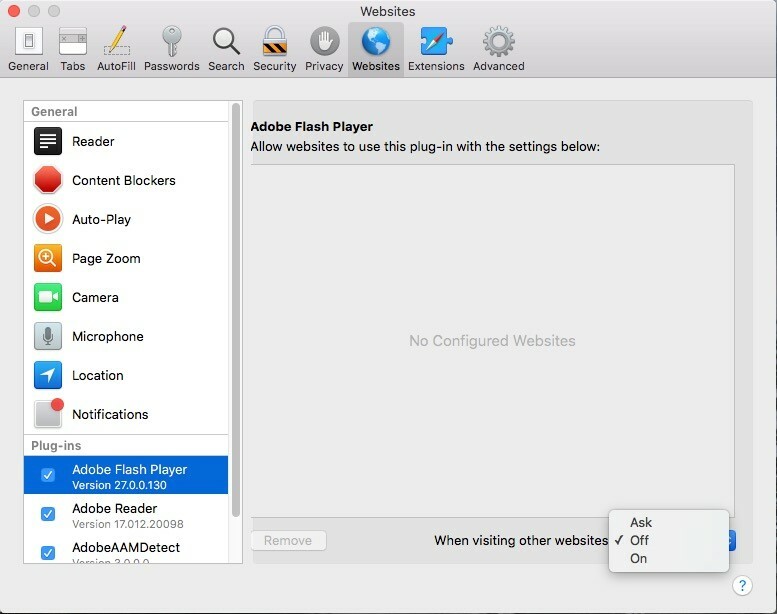 For the setting When visiting other websites, select the option of your choice: Ask, Off or On. 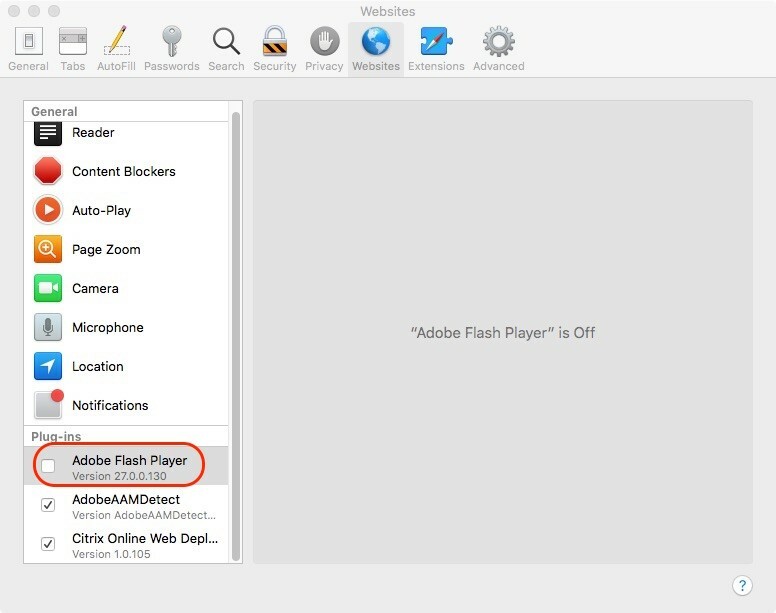 Flash can also be configured for individual websites (domains). 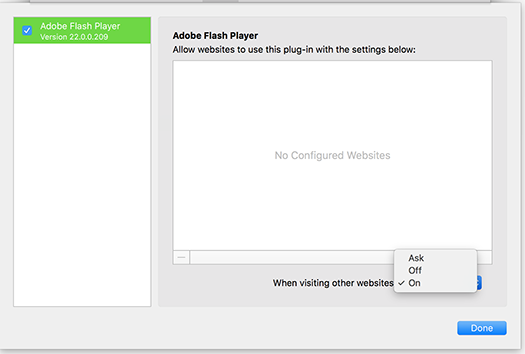 For every Identified website in the Allow websites to use this plug-in with the settings below section, select an option from the list: Ask, Off or On. 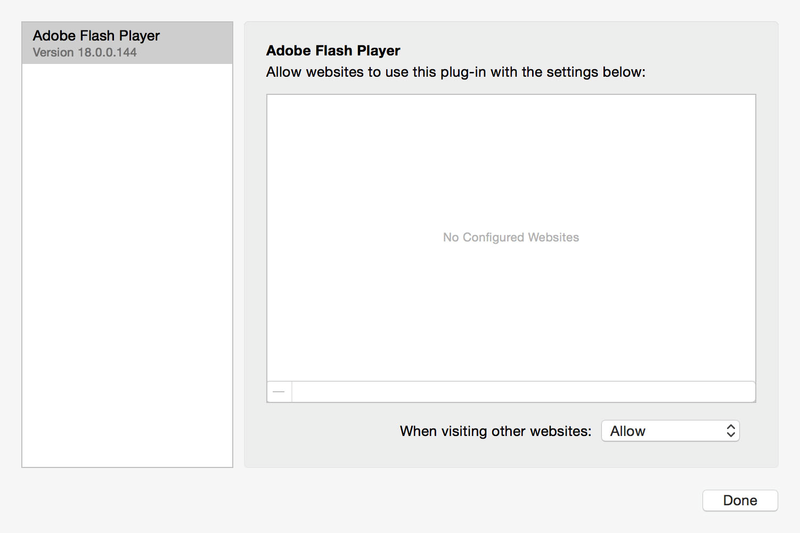 Leave the Preferences page after configuring the Flash Player. 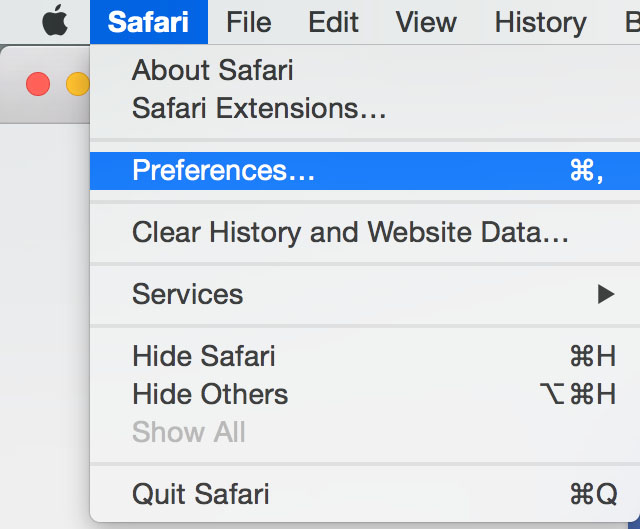 Open Safari and then choose Safari > Preferences. In the When visiting other websites menu, choose On, then click Done. For every website that appears in Websites currently open, choose On in the right-hand menu. 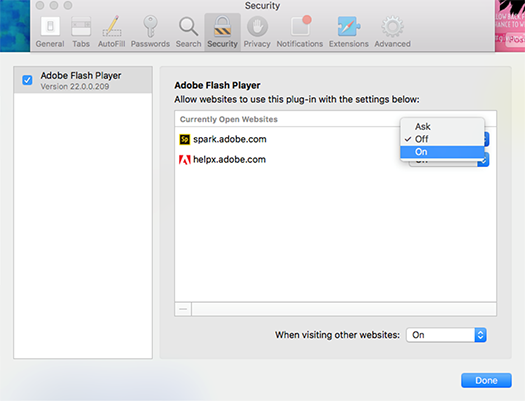 Open Safari and select Safari > Preferences. 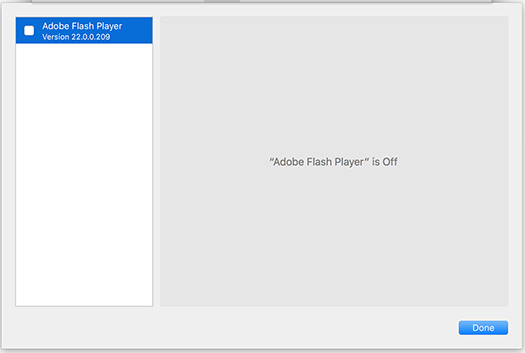 Select Adobe Flash Player. In the When visiting other websites menu, select Allow. In the Security tab, make sure that the options Allow Java and Allow plug-ins are activated.